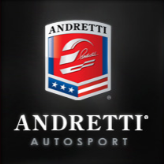 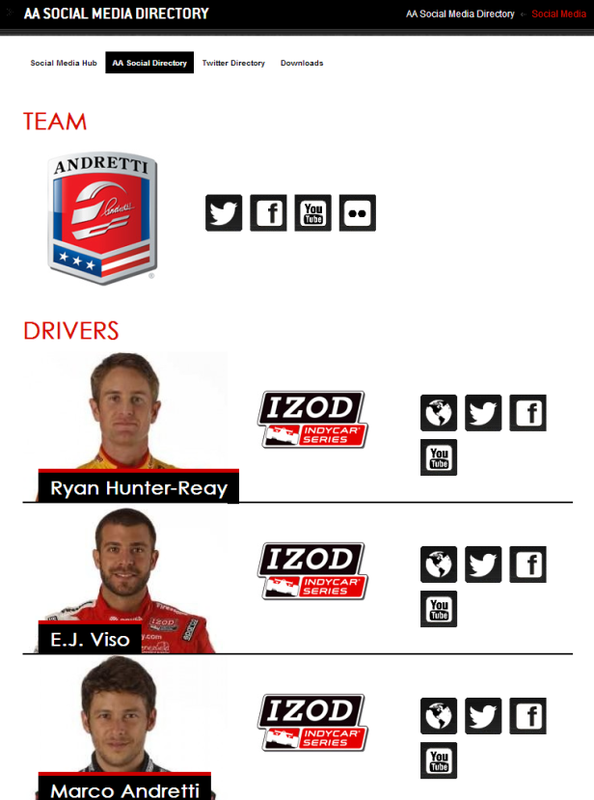 AA Social Media Directory: includes a listing of all the team’s drivers and the three racing series matched with icon links to their respective social accounts. 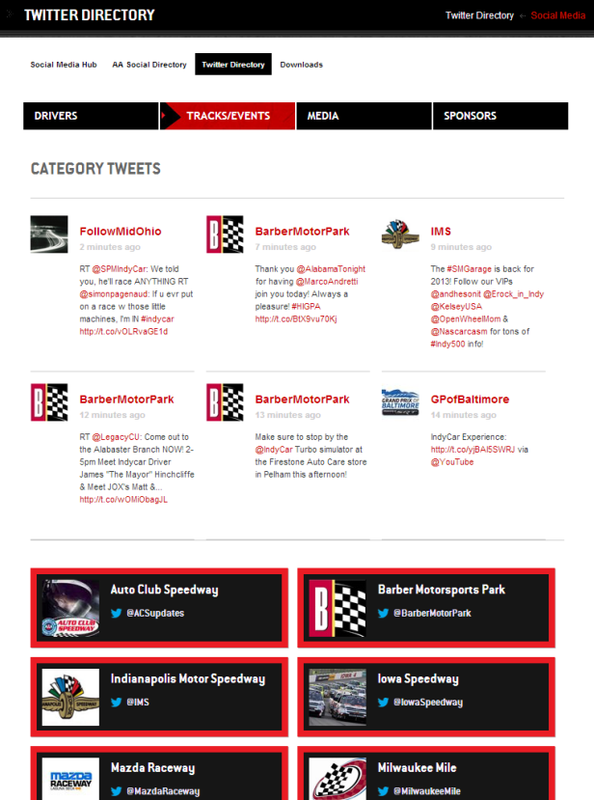 Twitter Directory: includes account listings and feeds for the following categories: Drivers, Tracks/Events, Media, and Sponsors. 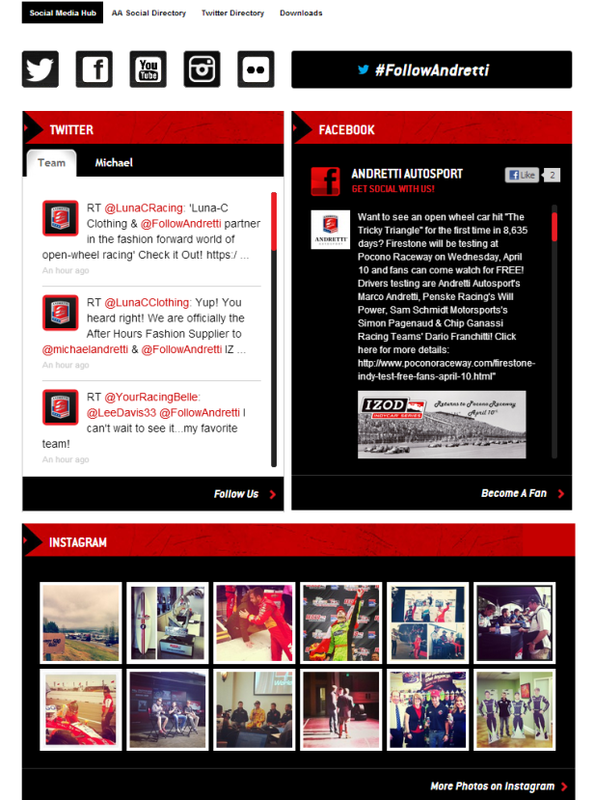 Downloads: includes downloads for fans to use on their own Twitter, Facebook, YouTube, and Google+ social channels, and wallpapers for mobile and tablet devices. 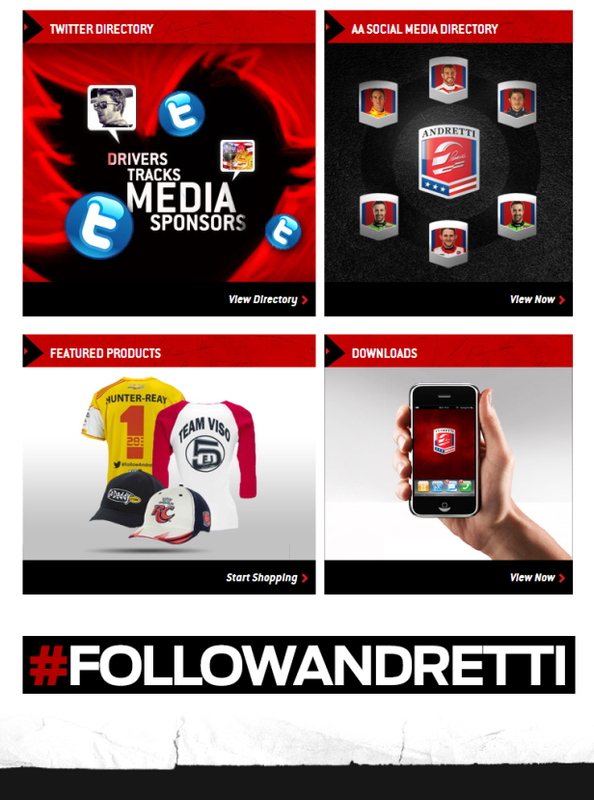 The Hub also prominently showcases the Andretti Autosport branded hashtag: #FOLLOWANDRETTI on the bottom of each page.